When do product ads become entertainment? MikMak may still be in Beta phase, but I'll be watching how popular it becomes - it is interesting that watching products adverts could become a form of entertainment. The Millennials may be enjoying it for now, but if it proves truly entertaining and drives product sales you can see it having much wider appeal to retailers. 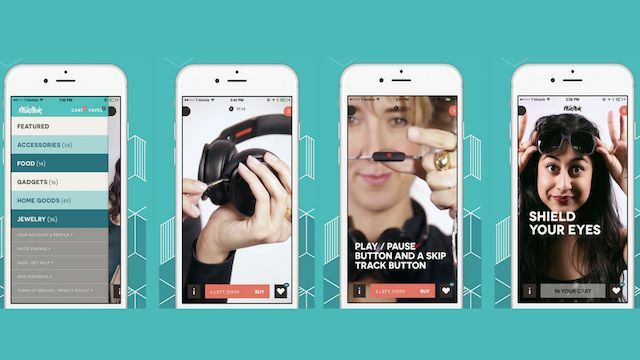 Creating a more active, participatory shopping experience is a new app called MikMak. The app embraces the age of mobile advertising by giving the home shopping network a 21st century smartphone makeover. MikMak is a mobile video shopping channel aimed at millennials, that creates infomercial style retail videos for each product it promotes. Then, they can browse by product type, and watch a ‘minimercial’ for each item they like. There are a range of accessories, gadgets, home goods and more — all for under US$100 — and new videos are uploaded nightly. All the goods promoted can be bought within the app.